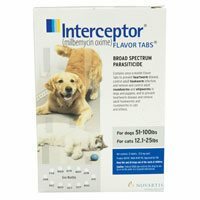 Save More On Pet Medication! At Pet Medication Outlet, you will find discount pet meds and supplies at the lowest prices. We believe in providing real discount prices on pet medications, especially during challenging economic times. Finding the best deal on dog, cat, fish, bird, and horse medicine has never been easier. Why pay full retail price for pet medicine at the vet? As a gateway online pet pharmacy, we provide you with pathways to over 1000+ pet supply products, saving you time and money! Featuring the top petmeds products such as Frontline Plus, Advantage Flea Control, Deramaxx, Revolution for cats, Frontline Top Spot, Cosequin DS, Ulcergard, Rimadyl and more. We can provide you with over the counter and prescription pet medications. Shop at Pet Med Outlet and save up to 40% or more on pet medicine and supplies! Pet Medication Outlet is committed to offering the absolute lowest prices on pet medicine. We supply the same "top of the line" FDA/EPA approved pet meds that your veterinarian sells, the only difference is that Pet Med Outlet is able to provide you with a true discounted price because we are strictly an online business and maintain low overhead costs. We understand the importance of your time and money. That's why we give you real discounts on all pet medicine and supplies, especially Frontline Plus for dogs when you shop with us. Discover how much you can save when you buy from a genuine discount petmeds store online!